After the jaw-dropping cliffhanger of last issue, writer Steve Orlando and artist Philip Tan transport us to the frozen post-apocalyptic Russian tundra now controlled by the grizzly proletariat. 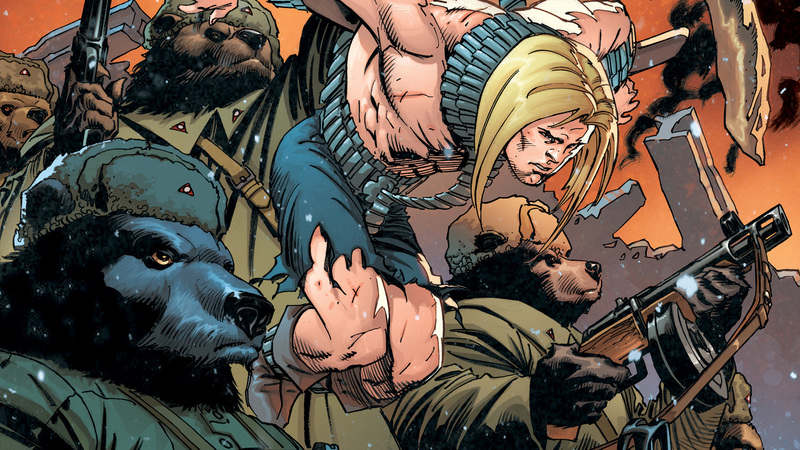 Alongside his new friend, Renzi, Kamandi stumbles upon a “communi-bear” city on the brink of destruction! Can Kamandi help their ruler save the city? Or will everything come crashing down?